I tried to take a bus trip to Glastonbury, I really did! But, the bus didn’t pick me up, then the alternate bus broke down. 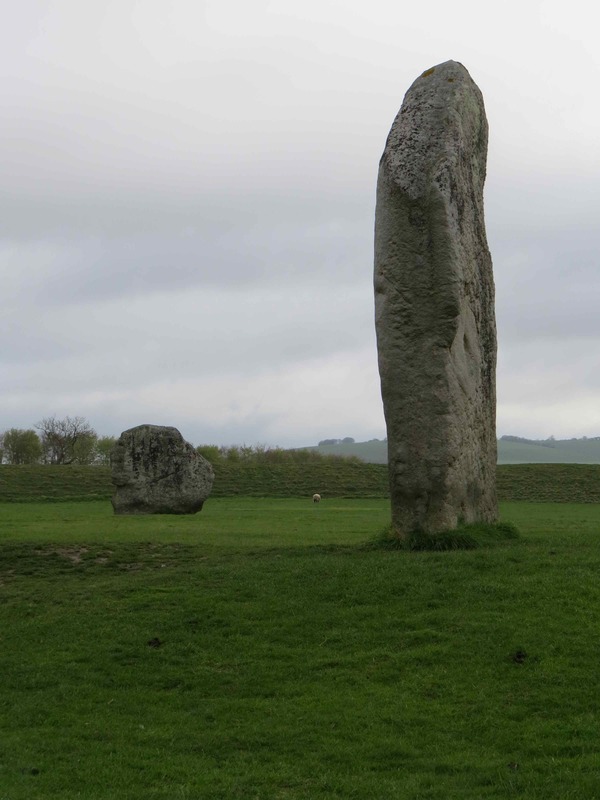 So, my amazing friends Cat and Seth came with me to Glastonbury, stopping at Avebury on the way. Being a holiday weekend in England, Cat’s one request as driver was that we get up very early to drive out of London before traffic got too congested. And so we did. Really early. 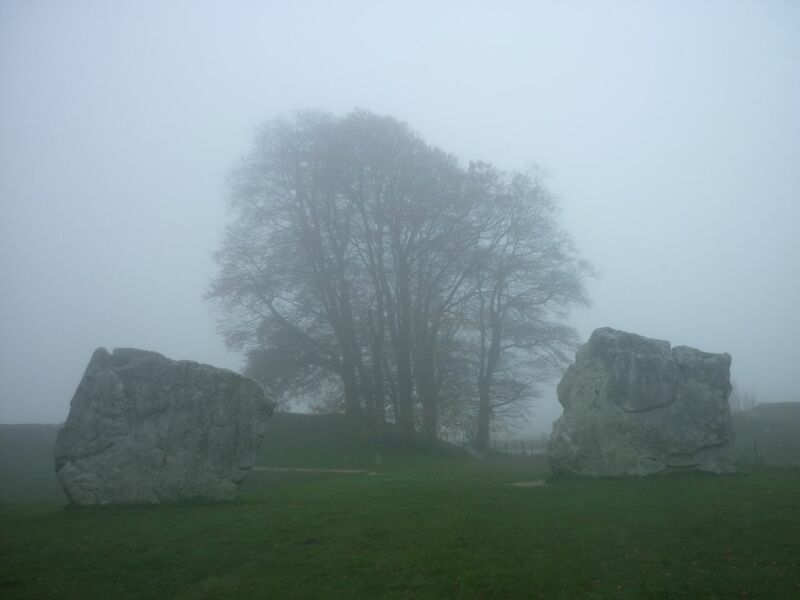 So early, in fact, that the car park at Avebury was not even open when we got there. The down side? No coffee shop. The up side? 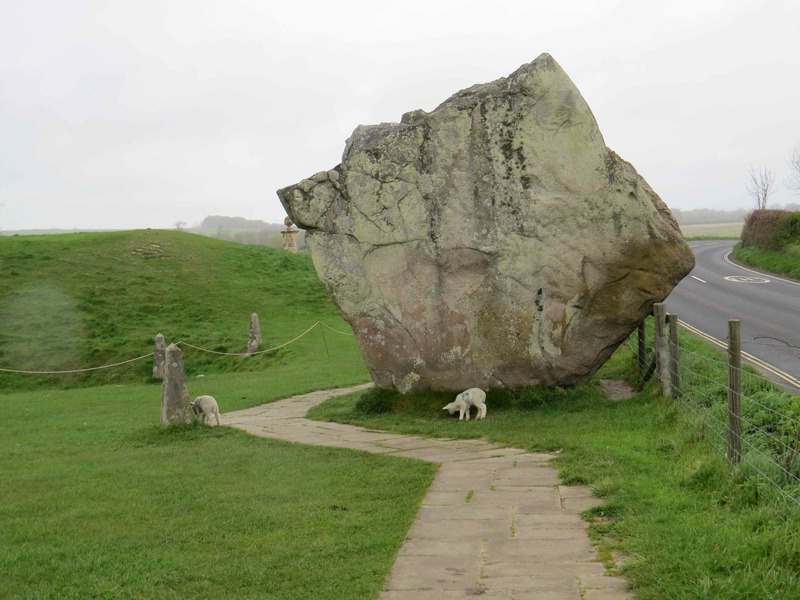 No one else at Avebury so we had the stones all to ourselves. Well, except for the sheep and the lambs. But, really, the lambs are so cute, who could complain! 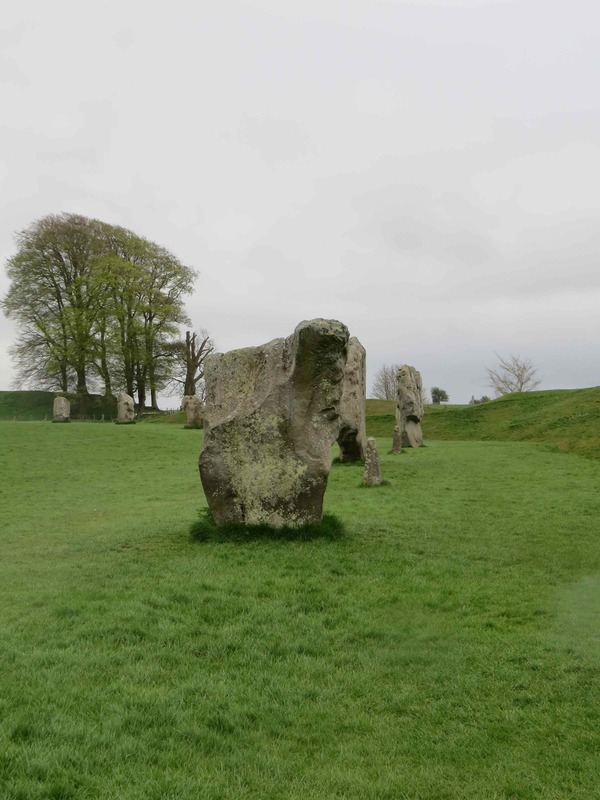 Avebury is a neolithic henge monument containing three stone circles. 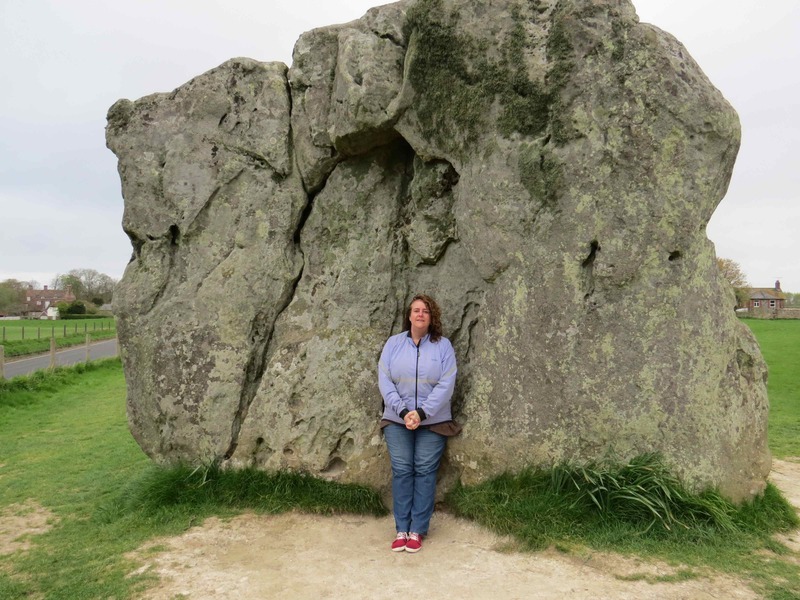 It was built around 2,600 BCE (thus, neolithic) and consists of three stone circles with a bank and a ditch (a henge). 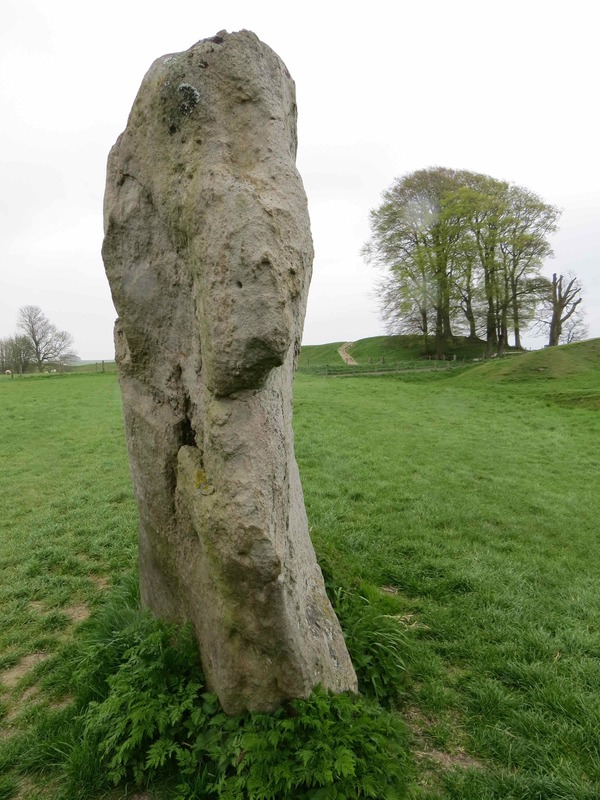 Avebury contains the largest stone circle in Europe with a diameter of 331.6 metres (the henge is 420 meters across). 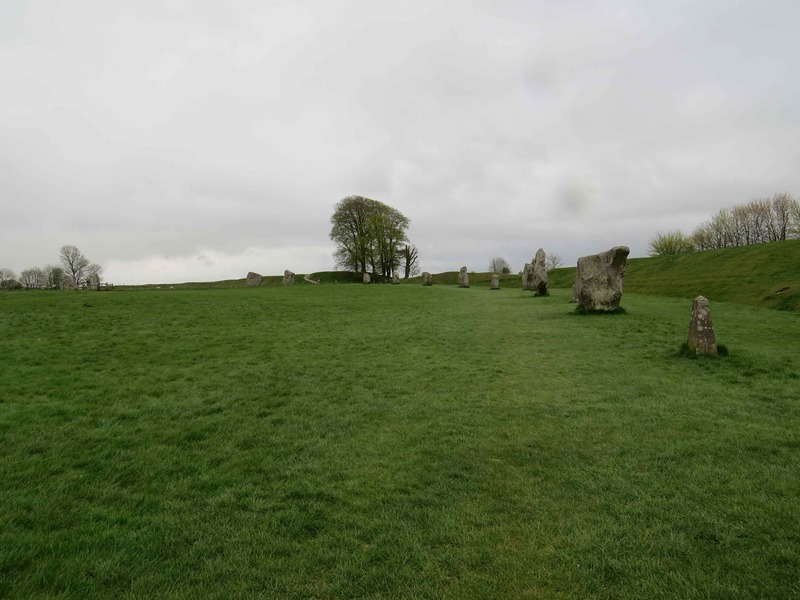 Britain’s largest stone circle, there were originally 98 standing stones, some weighing more than 40 tons and varying in height from 3.6 to 4.2 meters. 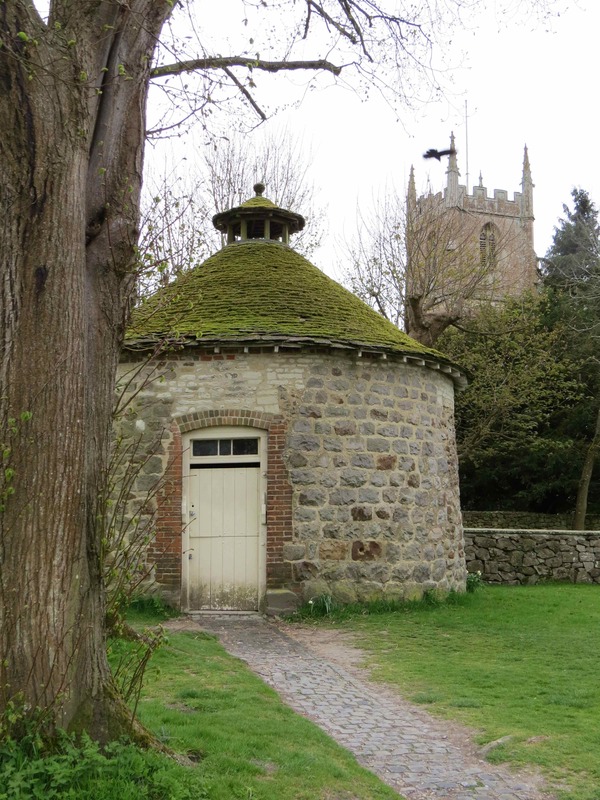 The monument was used for at least a thousand years after it was built. There is a long avenue of standing stones that lead to the south entrance. 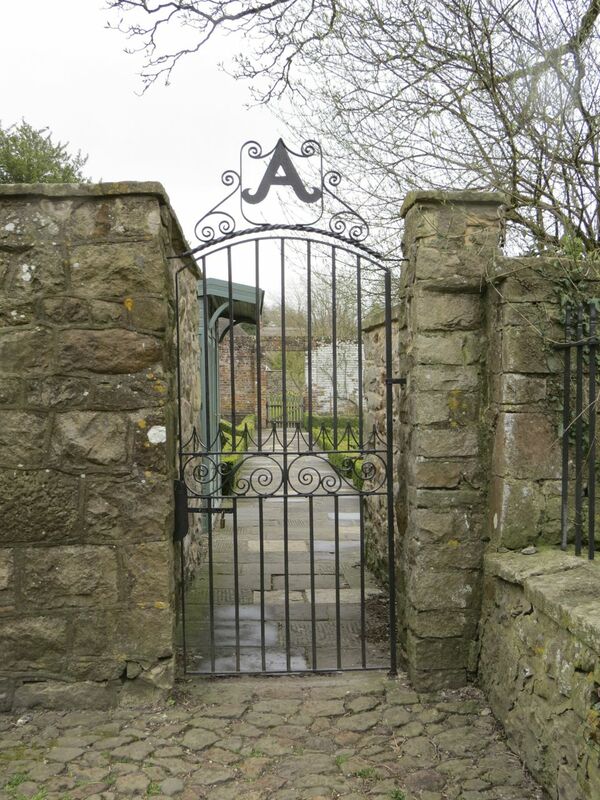 Two very large stones mark this gateway. And, one has a convenient seating spot in it! 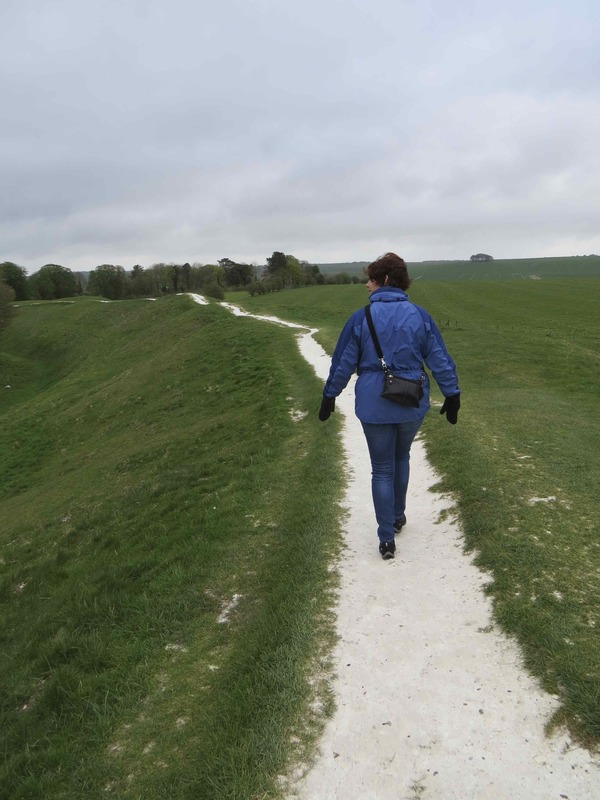 If you ever get a chance to go and see Stonehenge, I highly recommend spending a bit more time and heading just down the road to Avebury. 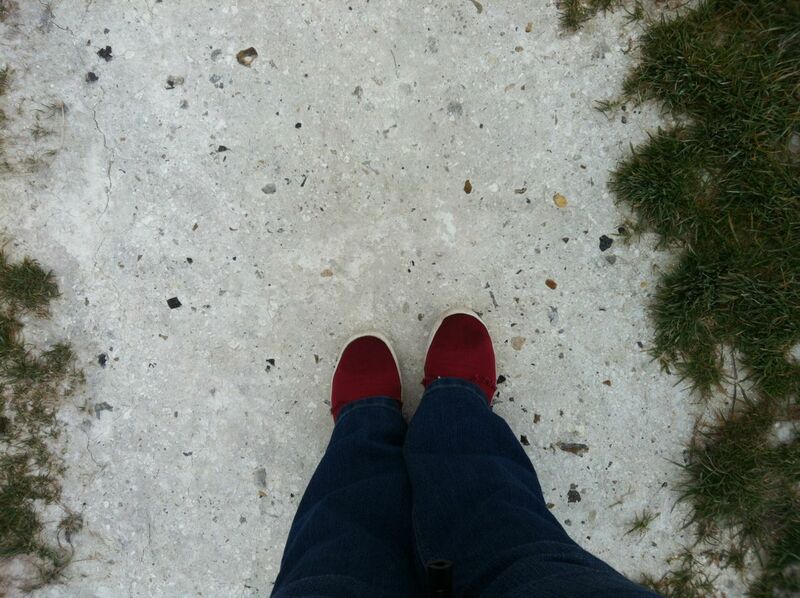 As opposed to Stonehenge, you can walk right up to, and within the stones. The energy of the place is amazing. 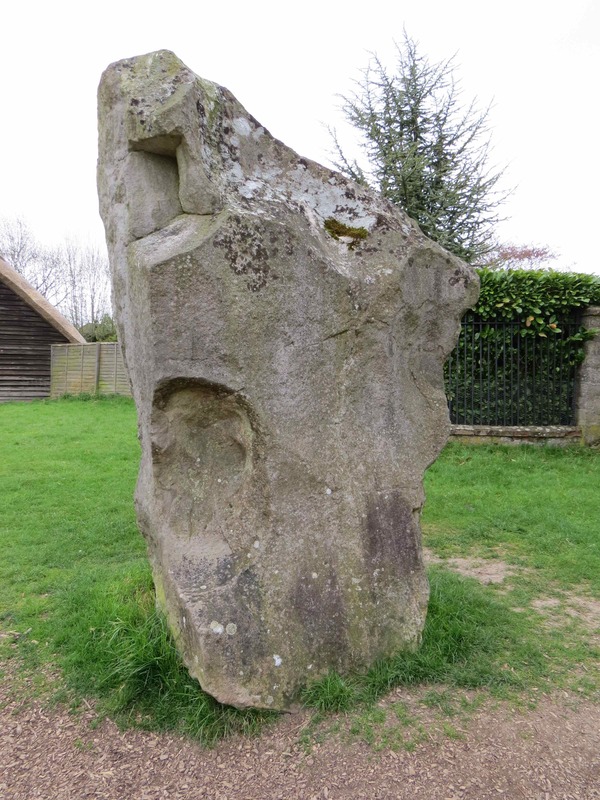 The stones have such a presence, each has a personality. It’s like they watch you, knowing that they’ve been there long before you and will be there long after you’ve gone. 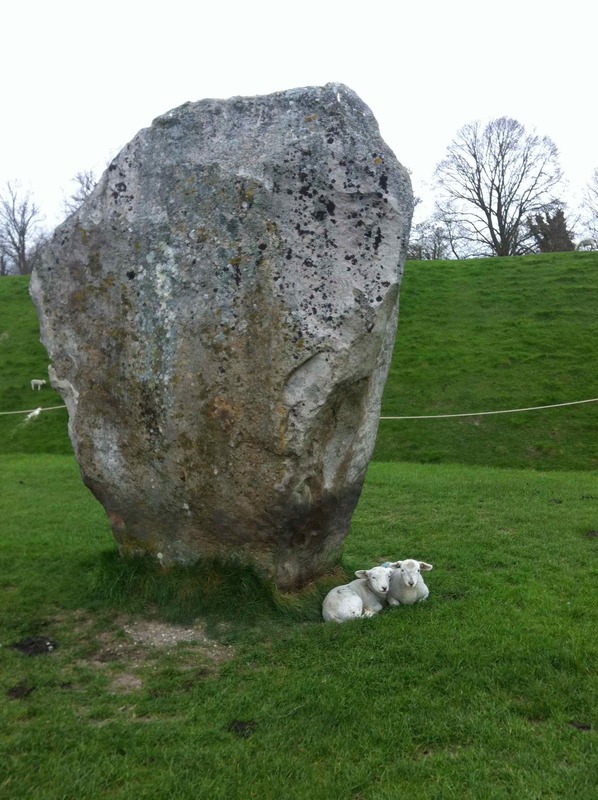 This entry was posted in spiritual, travel and tagged Avebury by WendyA. Bookmark the permalink. 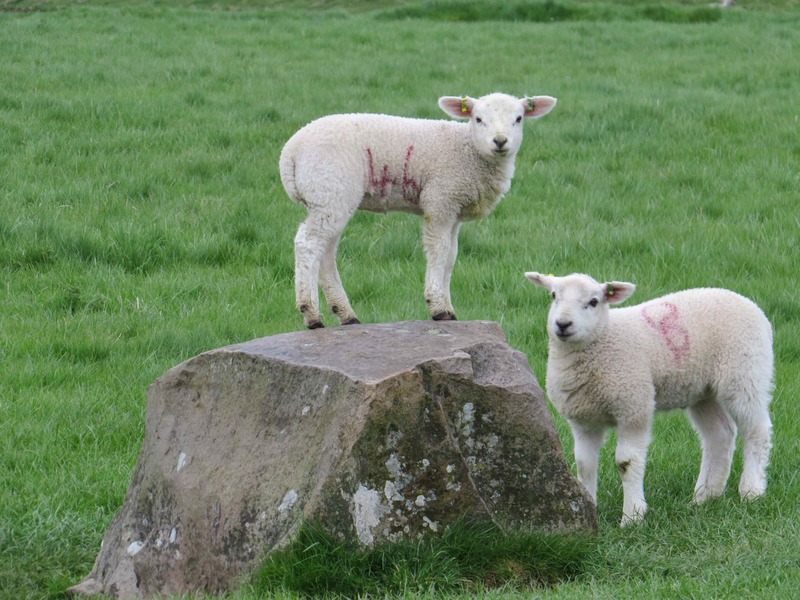 The standing stones look awesome, but sorry, the lambs stole the show!